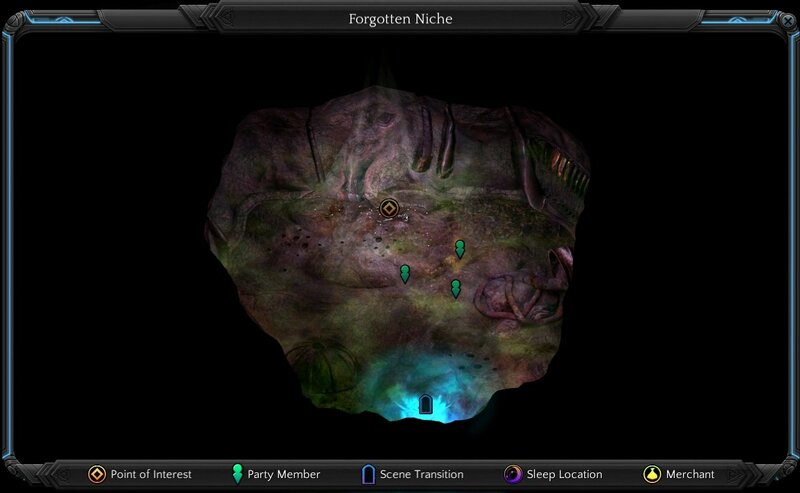 Forgotten Niche is a location in Torment: Tides of Numenera. On the metal skeleton (believe to be prophet Chila) you may find a very good hammer (Galvanic Hammer). There are other valuables in this place.